· Not a government subsidized organization. · Not a law enforcement agency or veterinarian’s office. · Not a high financed operation with high salaried employees. · Maintain an animal help and informative line. 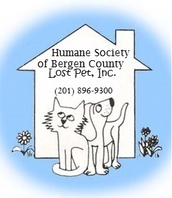 · Provide a pet adoption service. · Refer pet owners to quality and low-cost spay/neuter assistance and vet care. · List and match lost and found pets. · Provide hep and information on wildlife rescue and services. · Spread humane education throughout schools and scout troops. · Work in cooperation with other local and national humane organizations. · Help animals in time of disaster.